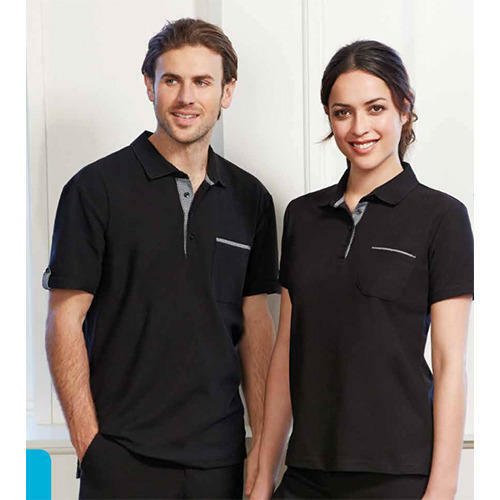 Manufacturer of a wide range of products which include edge polo t shirt. We have a complete devout in presenting highly demanded Edge Polo T-Shirt. Designed with contrast detailing on the pocket, these neatly stitched t-shirts are widely demanded in the hospitality industry. Ideal to be worn as a uniform the sleek pattern looks well on both men and women. Further, the smart of these t-shirts is attained by utilized latest knitting and stitching techniques and our clients can order it from size Xs-3xl at a leading price. Looking for “Edge Polo T Shirt”?